The Certified Professional – Food Safety (CP-FS) credential is designed for individuals within the public and private sectors whose primary responsibility is the protection and safety of food. 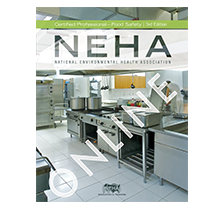 The exam for this prestigious credential integrates food microbiology, hazard analysis and critical control points (HACCP) principles, and regulatory requirements into questions that test problem-solving skills and specialized knowledge. Enter Coupon Code 344809 and receive a 15% discount from HRBUniversal.